It could be a lead-in for a joke: A Utah attorney general, his fundraiser, and a political toady travel to a posh resort in Newport Beach, Calif., where their fun-in-the-sun trip allegedly is paid for by a white-collar criminal. While it sounds like a whopper of a tale told over a martini, according to receipts and invoices given to City Weekly, two of these bizarre wingdings really did take place. In May and June of 2009, former Attorney General Mark Shurtleff and his then-chief fundraiser (now attorney general) John Swallow enjoyed vacations at the luxurious Pelican Hill golf resort. A Utah County political operative named Tim Lawson (mentioned in several City Weekly stories, including a Feb. 2, 2011, cover story titled “The Fix-It Man”) admits that he arranged the trips. As detailed in previous stories, Lawson’s friendship with Shurtleff enabled him to build a lucrative consulting practice, wherein he arranged for business owners with regulatory troubles to have access to Utah’s attorney general. Lawson’s client at this time was a hard-money lender from Holladay named Marc Jenson. After fighting multiple securities fraud charges since 2005, Jenson accepted a plea deal in 2008 and agreed to pay restitution to a pair of men he’d allegedly defrauded out of $4.1 million in investments. Jenson felt the AG’s office had unfairly targeted him, since a former business associate of Jenson’s—allegedly a supporter of Shurtleff’s—had complained about him directly to Shurtleff, who Jenson claims then directed his staff to investigate and charge him. Jenson felt burned by his former associate and hired Lawson to help him repair his reputation with influential members of government, including Shurtleff. Roughly a year after he accepted his plea deal, Jenson played host to Shurtleff, Lawson and Swallow in California. Marc Jenson is now in prison for violating the restitution terms of his 2008 plea in abeyance. Serving a possible 10-year prison sentence (of which he has now served 20 months), Jenson is speaking to City Weekly because he feels he was exploited by the Attorney General’s Office. He offered copies of invoices and receipts that show the Utah men did stay at Pelican Hill as a guest of Jenson. He says Lawson made numerous visits to the resort, including two trips when he brought along Shurtleff and Swallow. Swallow himself took a third trip to Pelican Hill, without Shurtleff, bringing his wife along instead. Lawson insists he paid for the trips—which included several nights in an exclusive villa, golfing and dining—since the lodging and dining charges were all subtracted from Lawson’s consulting fees that Jenson was paying. For Shurtleff, Lawson said, the trips were a vacation where he could work on his historical novel, Am I Not A Man? The Dred Scott Story, and relax before he pushed ahead on what turned out to be a short-lived run for U.S. Senate. Jenson recalls that he met Shurtleff at the resort a few times, including for dinner. He also remembers that Swallow and Lawson discussed holding a fundraiser for Shurtleff’s Senate campaign at the California villa, but Lawson denies any fundraising took place. John Swallow declined to comment for this story, although Lawson says Swallow was just there for a vacation.Â “[Swallow] could be there taking bribes or doing whatever he wants to, it doesn’t matter—he was a private citizen,” Lawson says. Back then, Lawson says, Shurtleff was no fan of Jenson’s. “Shurtleff tried to tell me for a year and half that [Jenson] was a bad guy and that I needed to get away from him,” Lawson says. That initial cold shoulder warmed after Lawson took Jenson on as a client. Jenson says Lawson worked for him starting in late 2007 or early 2008 and continuing through late 2009. An investigator with the Attorney General’s Office audited Jenson’s bank account from October 2008 to September 2010. According to those records, Jenson’s bank account lists $114,300 deposited into Lawson’s Apple Dumpling Gang Investments and another $8,000 into Lawson’s now-defunct hovercraft company, Slipstream International. 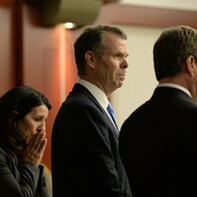 Jenson says Lawson invited himself and his guests—Shurtleff and Swallow—back for a second visit in June 2009 when Shurtleff and Swallow stayed four or five days at Jenson’s $1,200-a-night villa. Lawson insists he covered the group’s expenses, but documents show some expenses were charged directly to Jenson’s account, such as a $470 golf and caddy package receipt dated May 5, 2009, which named Shurtleff as the guest and was billed to Jenson’s account. Jenson said Swallow went to Pelican Hill with his wife a third time in July 2009. Even though Lawson acknowledges he was working on Jenson’s behalf—including helping Jenson with his problems with the state—he insists there wasn’t a conflict of interest, because Jenson never gave money or funds directly to Shurtleff. Jenson does say that while the group was in California, he arranged to have Shurtleff meet a number of wealthy associates of his, though he could not say affirmatively if they donated to his campaign or not. So, did Marc Jenson get what he paid Lawson for? Jenson says that on the few occasions he met with Shurtleff at the resort, including for dinner, “I was implicitly promised and guaranteed protection—that’s what I expected.” Jenson says Shurtleff claimed to have national connections that could help Jenson if he got in trouble in California. Jenson says Shurtleff noted that if he were elected to the U.S. Senate, “it would be even better” for Jenson. Shurtleff would not respond to Jenson’s claims. “Keep in mind of who you’re talking to and what we prosecuted him for,” Shurtleff said. 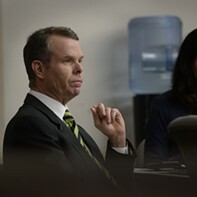 When he visited the resort with Shurtleff and Lawson in May and June 2009, John Swallow was a private citizen and had not yet been appointed the chief deputy of the Attorney General’s Office. He was Shurtleff’s campaign fundraiser, however. Swallow visited the resort a third time with his wife in July 2009. On June 6, his signature is listed on a $228 receipt on Jenson’s account for a “terra-stone massage”; in July, when he brought his wife, documents show they received two massages at the resort worth $456 combined, also charged to Jenson’s account. Paul Ruffino, a former sales director of the Pelican Hill resort remembers meeting with Lawson and Swallow. “Lawson and the Swallow guy, they wanted me to host like a fundraising event for Shurtleff in Orange County and include some show-business people to come [the event],” since the villa often courts Hollywood celebrities and since the men knew Ruffino had previously been the president of the Orange County Film Commission, Ruffino says. “There was no talk of fundraising. The only things we talked about were family, fun, golfing and Mark’s new book,” Lawson says. Shurtleff dropped out of the Senate race in October 2009. In December of that year, Swallow became the chief deputy attorney general. After Shurtleff was no longer in the running for the U.S. Senate, Jenson says, Shurtleff distanced himself from Jenson. In 2011, Jenson faced a tough sentencing when he had not paid the court-ordered restitution. 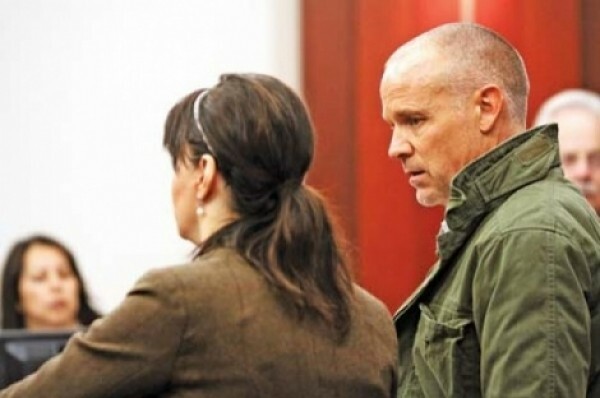 Jenson did attempt to offer his two victims a home in Idaho, but the deal was rejected as the home, once valued at $8 million, was now indebted and lacked equity to cover restitution. At his Nov. 4, 2011, sentencing hearing, the Attorney General’s Office showed that Jenson had spent $9 million, living a life of luxury, during the time he was supposed to be paying restitution. Jenson says he'd spent the time trying to advance the Mount Holly ski development, where he hoped to turn an old resort in Beaver into a $3.5 billion luxury resort and development. When that deal fell through, the state charged Jenson and also his brother with multiple counts of securities fraud on the Mount Holly case. While Jenson says he’s an “innocent man who’s spent 20 months in jail,” he feels he was targeted by the attorney general’s office and admits he is guilty of getting too close to Swallow, Shurtleff and Lawson. “I gave money to Tim Lawson because he was very close to Mark Shurtleff and John Swallow, and because Shurtleff told me Swallow was his hand-picked successor,” Jenson says. Lawson says Jenson is simply trying to push blame off on to others, citing his inability to pay restitution as proof of his character. Marc Jenson: Hard-money lender from Holladay who accepted a plea in abeyance for three counts of selling unregistered securities in 2008. He faced jail time if he did not provide $4.1 million in court-ordered restitution to two victims. He was also trying to develop a luxury resort near Beaver, Utah. He hired Tim Lawson to help smooth things over for him with the Attorney General’s Office. Tim Lawson: Utah County-based friend and confidante of former Attorney General Mark Shurtleff. Lawson marketed his “in” with Shurtleff to troubled business owners, such as Marc Jenson, who were looking to improve relations with state prosecutors. Mark Shurtleff: Utah attorney general 2001-13. His office had prosecuted Marc Jenson and would later investigate Jenson for securities fraud in his development of the Mount Holly ski resort. 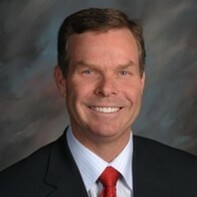 John Swallow: Chief campaign fundraiser for Mark Shurtleff’s Senate campaign. He would become a state employee, working as Shurtleff’s chief deputy in December 2009, and in 2012 was elected attorney general. *Aug. 10, 2008: Jenson is charged with five counts of second-degree securities fraud counts and one second-degree felony racketeering charge as fallout from a business deal that imploded in 2000. *Late 2007/Early 2008: Feeling that the Attorney General’s Office had unfairly targeted him, Jenson hires Tim Lawson to help Jenson curry favor with Shurtleff’s office. *May 1, 2008: The Attorney General’s Office offers a settlement with Jenson, asking that he pay a $15,000 fine to the state but not require him to pay back his victims. The judge rejects the plea deal for being too lenient. A new agreement is drawn up that requires Jenson to pay back two victims $4.1 million by 2010.